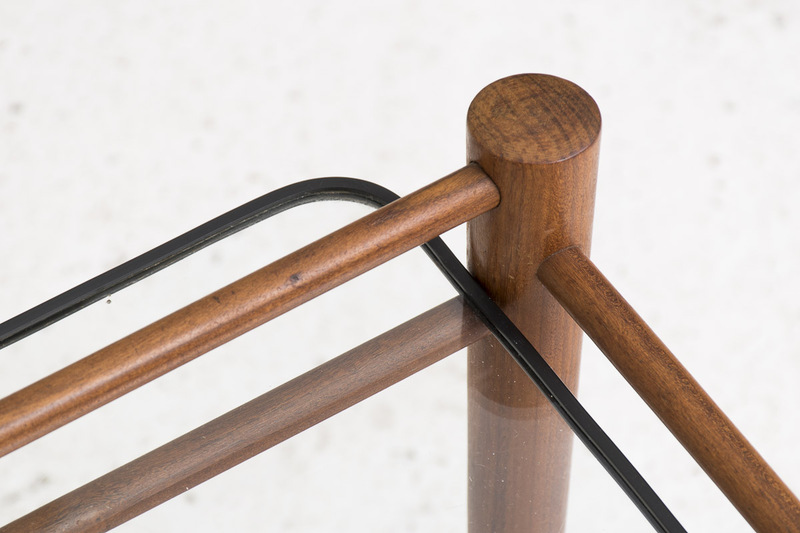 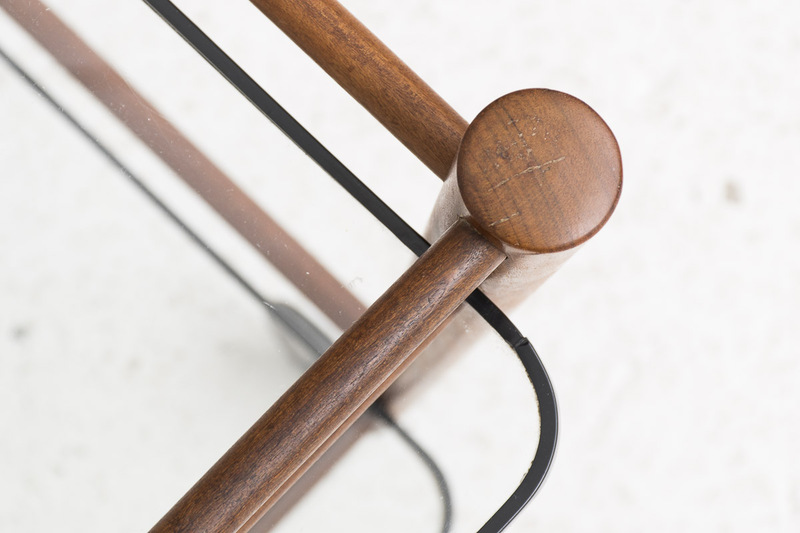 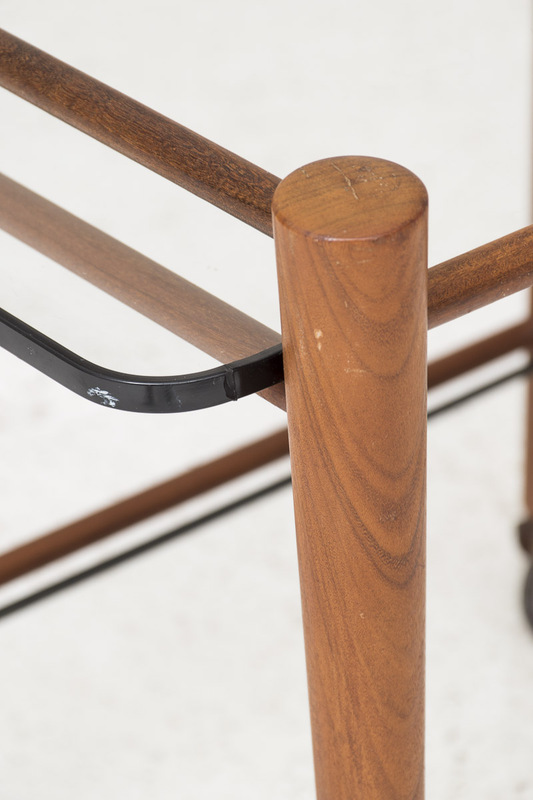 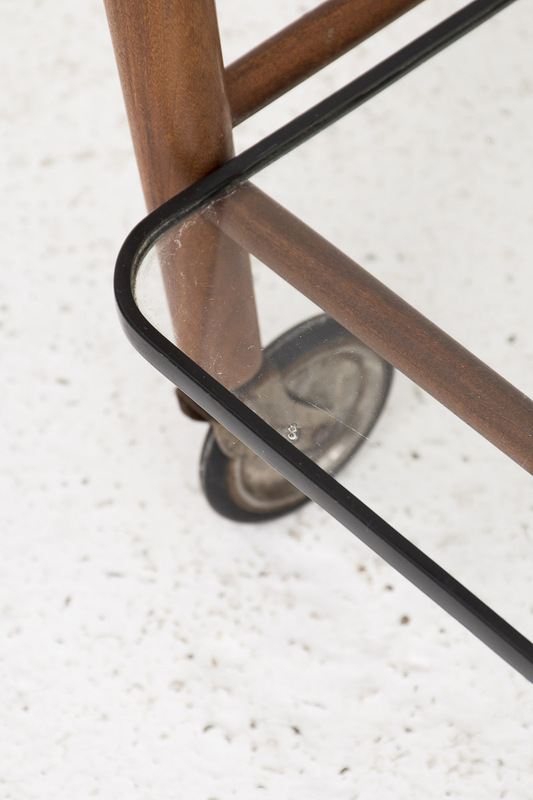 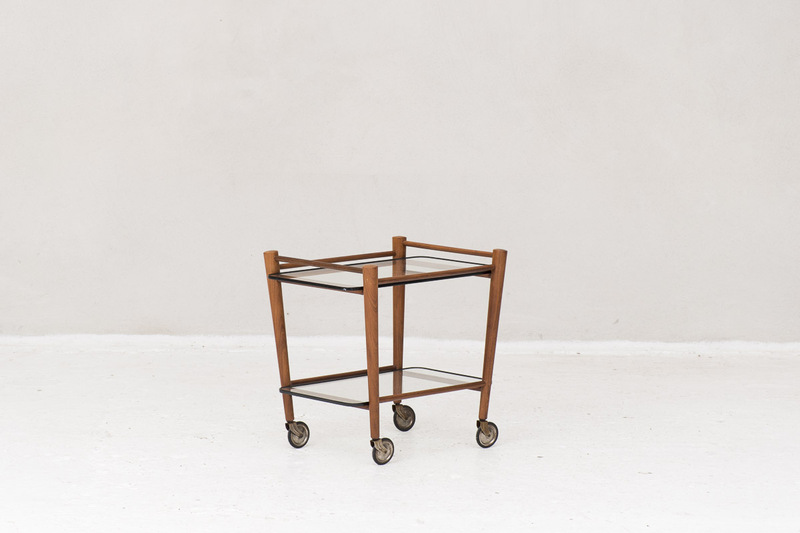 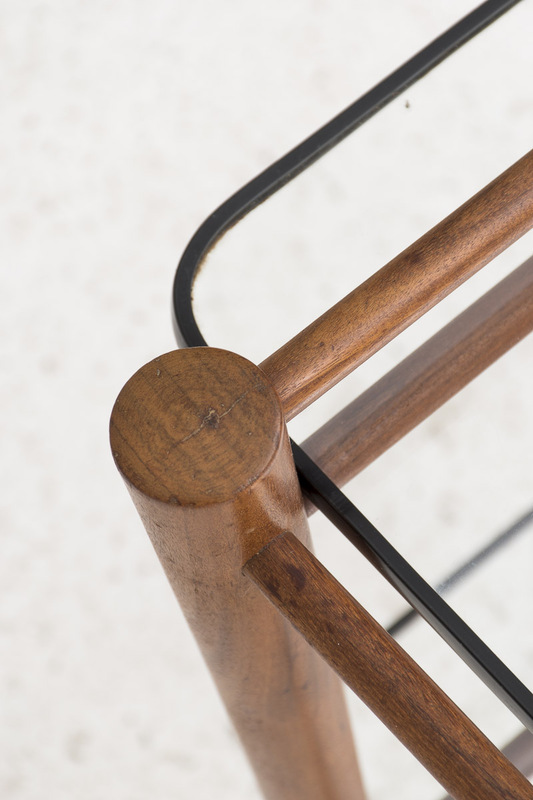 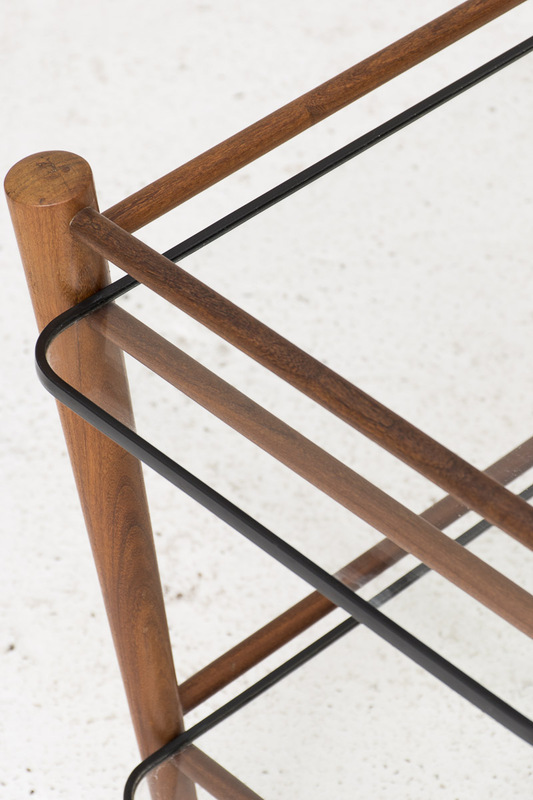 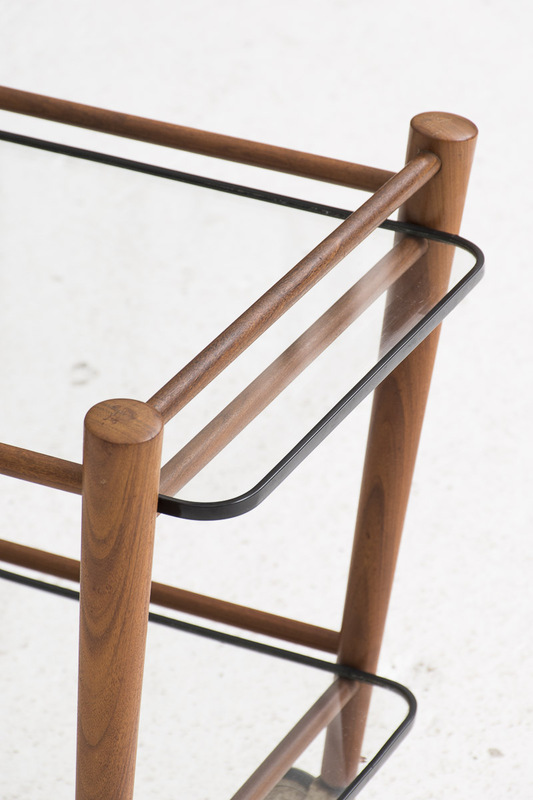 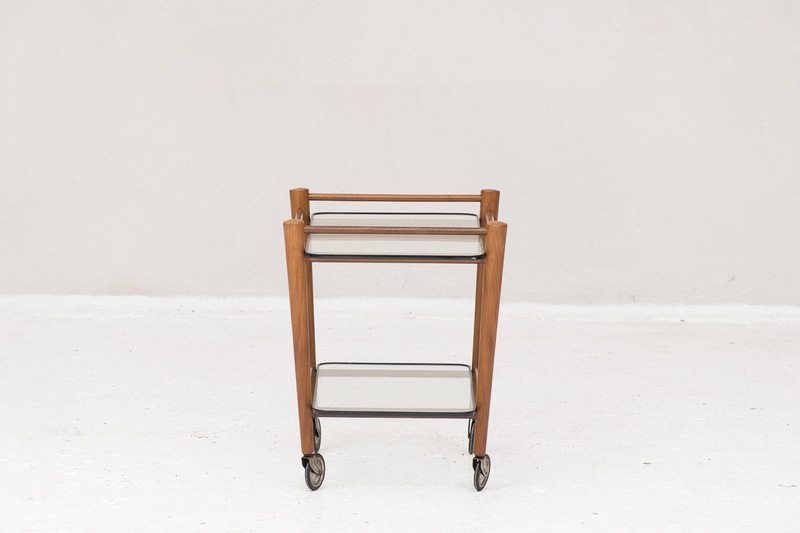 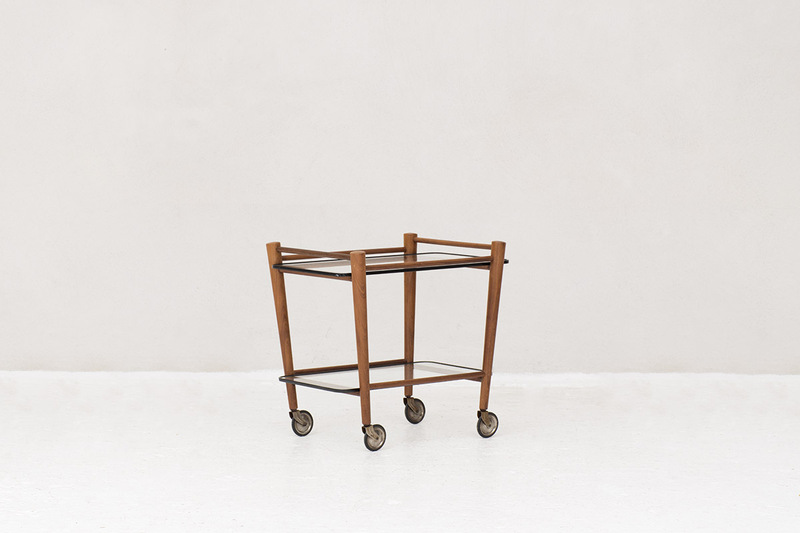 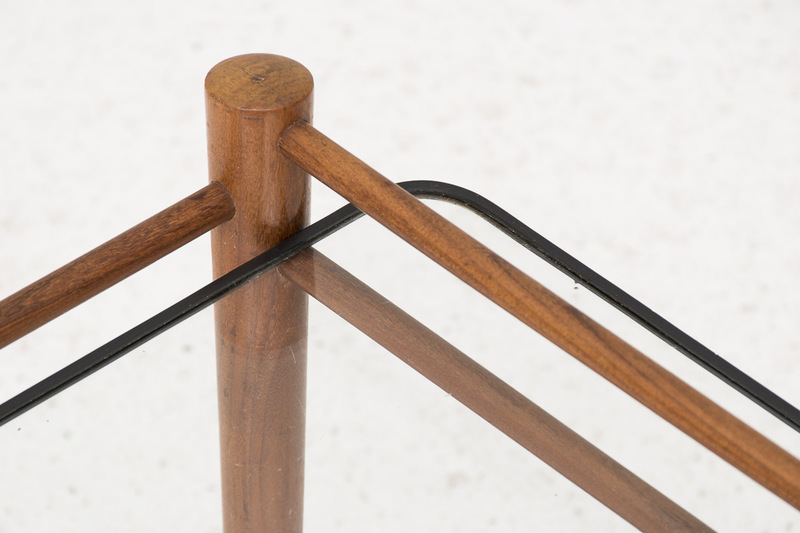 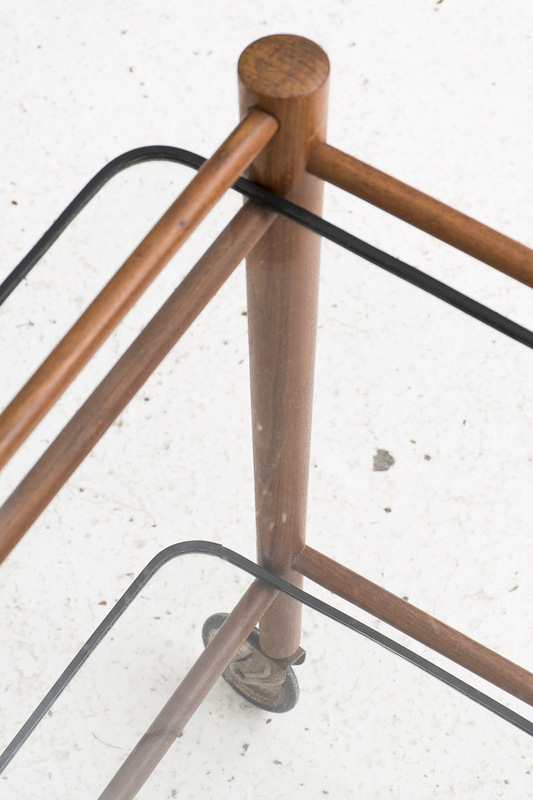 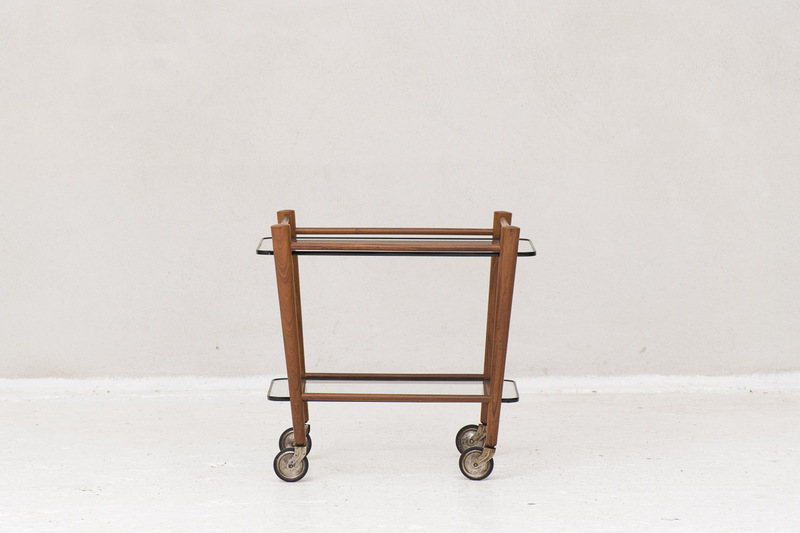 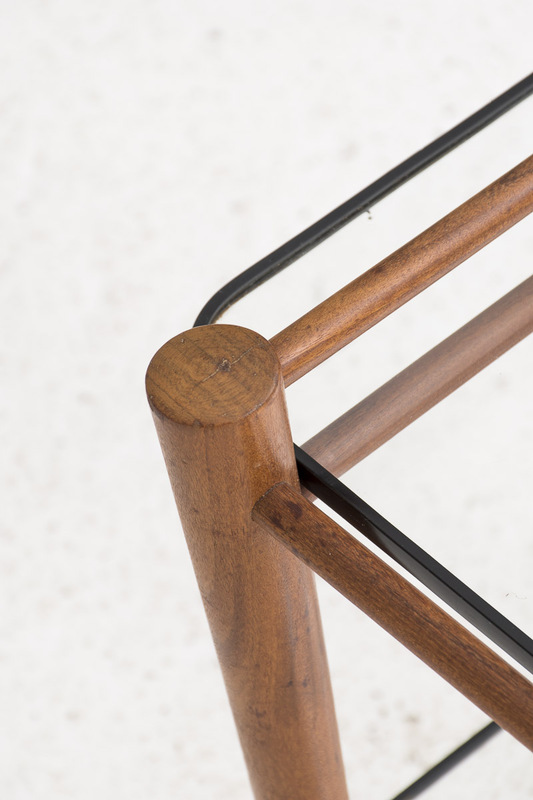 Trolley designed by Cees Braakman and produced by Pastoe, Holland 1960. 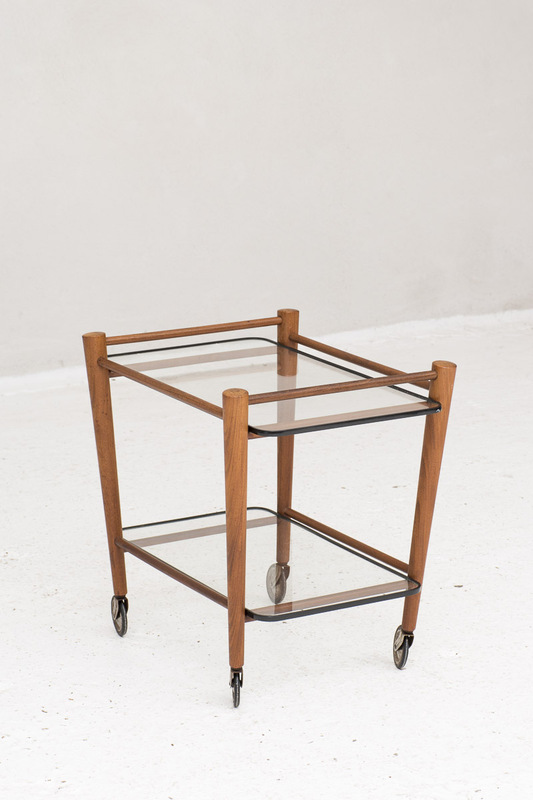 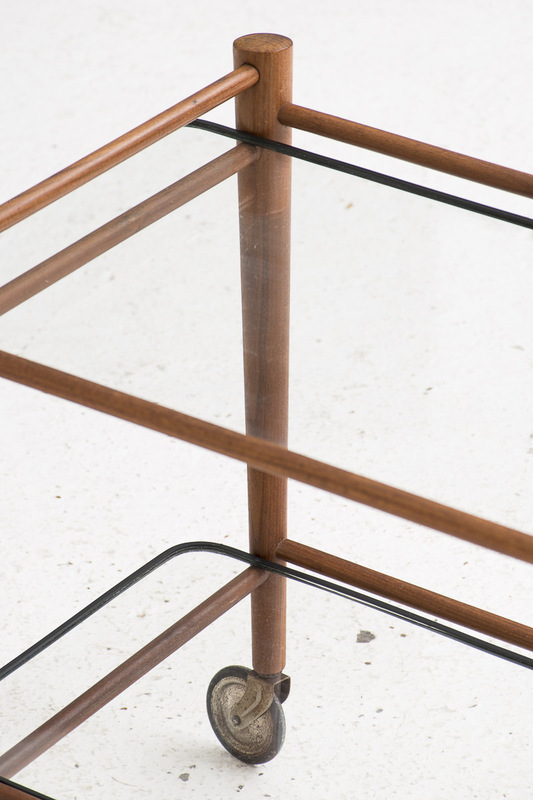 Solid teak frame with two glass serving trays. 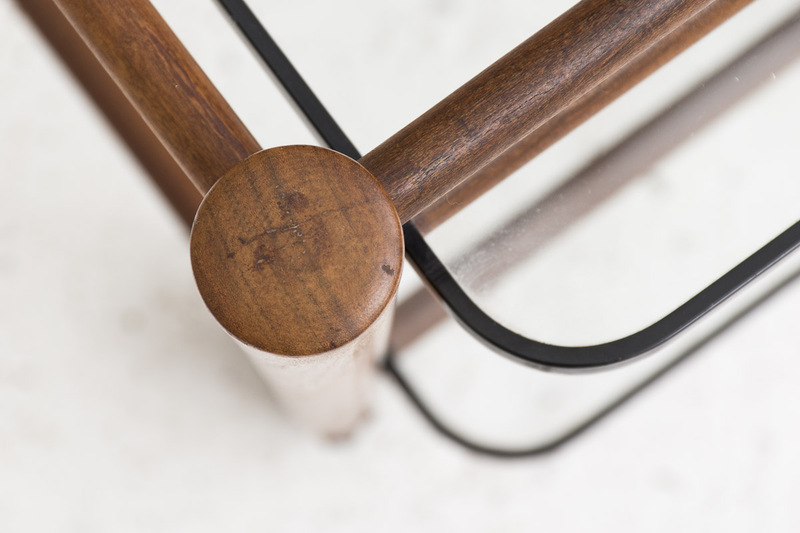 Beautifuly shaped in good conditon.